In the beginning God created the universe. The earth was formless and void and dark and then God shaped it into the light-filled marvel we experience today. Among God’s innumerable attributes are the power to make something from nothing and the ability to transform one thing into another. God spoke the universe into existence and maintains it through His Word. God spoke the universe into existence. He transformed a formless and void and dark earth into a vibrant planet full of light. God used Mary to prepare a physical body for Jesus. Of all of God’s transformations, perhaps the greatest was providing a human presence for deity. The incarnation was one of the most wonderful events in history. The death and resurrection of Jesus offers salvation to all, but the end of Jesus’ life was possible only because it had a beginning. Without His humanity, the sacrifice of Jesus would not have been possible. Christ’s death goes hand-in-hand with His willingness to leave heaven and come to earth. Do you ever feel that your life is formless and void? If God can speak the universe into existence and transform a formless, void, dark world into our marvelous planet, can He not transform your life into one of direction and purpose? It all begins with humility. Before God can transform us into what we should be, we must become empty vessels. We must die. This is what Jesus is saying in Matthew 16. When most people say, “I have a cross to bear” they mean there is some inconvenience in their lives. No person who was carrying a cross in the time of Jesus would consider it to be an inconvenience. A cross is a place to die. We need to realize that we are dying physically from the moment we are born. This life is actually a trip toward death. We are dead spiritually from the moment we become morally responsible for our actions and make the wrong choice. As Paul says in Romans 6:23, the wages of sin is death. Those who think they are alive are really dead. The only way to go from death to life is to die. Romans chapter six tells us how we can live through dying. Notice from this passage, too, that our new life is in Christ. When Jesus returned to heaven, He left His followers to become His body. We are in a very real sense the presence of Christ on earth. Are we really willing to do what it takes to provide a place for Christ to live in us? So many great powers have taken part in the flow of history. We’ve all heard of Egypt, Assyria, Babylon, Persia, Greece, Rome, England, German, Russia and the United States. But the pivotal point of history is not associated with any of these “great” powers. It takes place on a small hill in the small country of Israel. 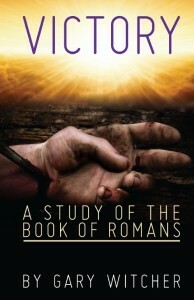 All of history hinges on the death of Jesus on the cross. Without this sacrifice nothing else matters: nothing before, nothing after. As Jesus is hanging on the cross, He is able to look out over not only the crowd gathered around Him, but also out over all of history. His sacrifice impacts everyone who has ever lived. “Oh, but my sins are too big to be forgiven,” so many people are heard to say. Really? Read 1 Corinthians 6:9-11 and similar passages. Read the sins that had been committed by people in Corinth before they became Christians. Satan would like for us to believe our sins are unforgiveable, but Jesus disagrees. The Jesus, our sins can be forgiven (Colossians 2:13) and taken away (John 1:29). Jesus offers reconciliation (Romans 5:10,11), justification (Romans 5:9) and redemption (Romans 3:24). He provides propitiation (Romans 3:25-26). This means atone or removal or covering of our sins. Like Paul, lets put our former lives behind us (Philippians 3:8-14). Isn’t that the point of Matthew 6:25-34? We don’t need to be anxious about the matters of this life. If we seek first the kingdom of God, the other things will be taken care of. We can place all of our anxiety on God, 1 Peter 5:7 promises, because He cares for us. Jesus instructs us in Matthew 28:19,20 to make disciples of all the nations. But He also promises to be with us always, even to the end of the age. Paul knows that his future involves a crown of righteousness, adding that the same crown awaits all who love and obey Jesus (2 Timothy 4:8). John promises that the Scriptures provide assurance of eternal life (1 John 5:13). And then verse eight offers the critical observation. John seems to believe that fellowship is an important thing. But what is fellowship? Who has it? How do we get it? What can it do for us? “Fellowship” is usually the translation for the Greek word “koinonia.” (In a few passages the word is translated “contribution,” “sharing” or “participation.”) The language of the New Testament is koine Greek, because it is the language of the common people. Fellowship, then, refers to something shared in common. It involves communion and communication. The words “partner” and “partaker” are used in association with fellowship. Fellowship is a partnership, a holding in common. Notice in the passage from 1 John that there are two kinds of fellowship. There is horizontal fellowship (with each other) and vertical fellowship (with God). Notice also that the two kinds of fellowship are intertwined. Most of us understand that there can be no true Christian fellowship between two people unless both have the proper fellowship with God. But we must not miss the point that fellowship with the divine assumes fellowship with each other. Most of us realize too that fellowship with God results from obedience to the Gospel. But do we understand the relationship between salvation and fellowship with each other? Those who obey Peter’s instruction on Pentecost enter into fellowship with God (Acts 2:41). One of the first manifestations of this is fellowship among Christians (Acts 2:42-46). Fellowship is what allows us to strengthen and encourage one another. We cannot fulfill the law of Christ unless we bear one another’s burdens (Galatians 6:2). And we cannot bear one another’s burdens unless we know what is going on in each other’s lives. We cannot rejoice with those who rejoice and weep with those who weep (Romans 12:15) unless we know what is going on in each other’s lives. Can we really pray for one other (James 5:16) if we don’t know what is going on in each other’s lives?